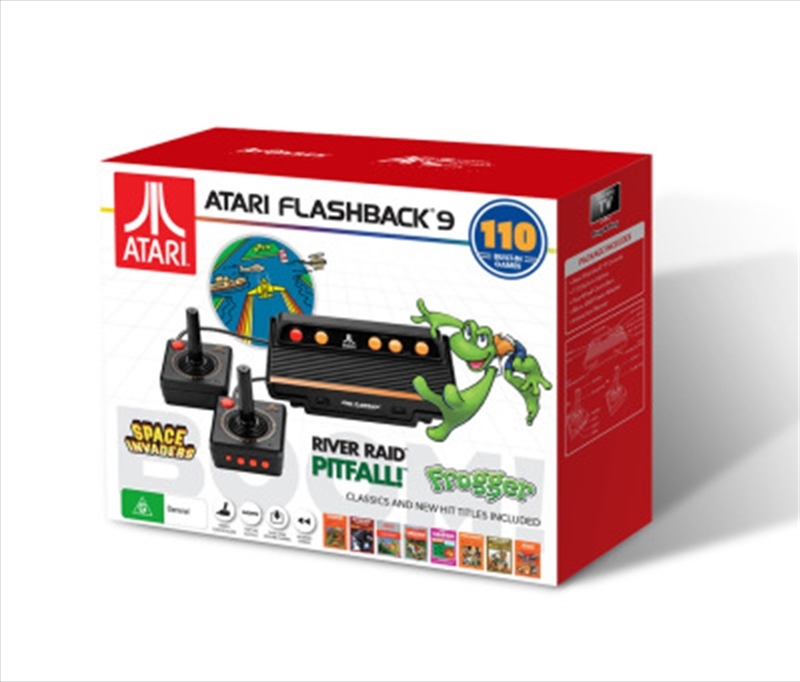 Atari Flashback 9 Boom! HDMI game console with classic games built-in. Comes with two wired controllers, SD card slot and 110 classic games including Asteroids, Centipede and Millipede. Activision's crown jewels: Pitfall!, Kaboom! built-in. Other impressive features include high definition 720p video output with scan line filtering, an intuitive menu system, save and resume game functionality, and the ability to rewind a game in progress to recover from a play misstep. Includes Activision's crown jewels: Pitfall! and Kaboom!